The Liberty Flames torched the Niagara Purple Eagles 3-0 on Friday, Sept. 7 at home. The Flames got on the board in the first half with a goal from junior defenseman Shalom Dutey assisted by senior midfielder Kevin Mendoza with 22 minutes and 12 seconds left in the half. The Flames would finish the first half with 10 shots on goal and the Eagles with one. Attack – Senior forward Tresor Mbuyu posted his second multiple-score game this season. 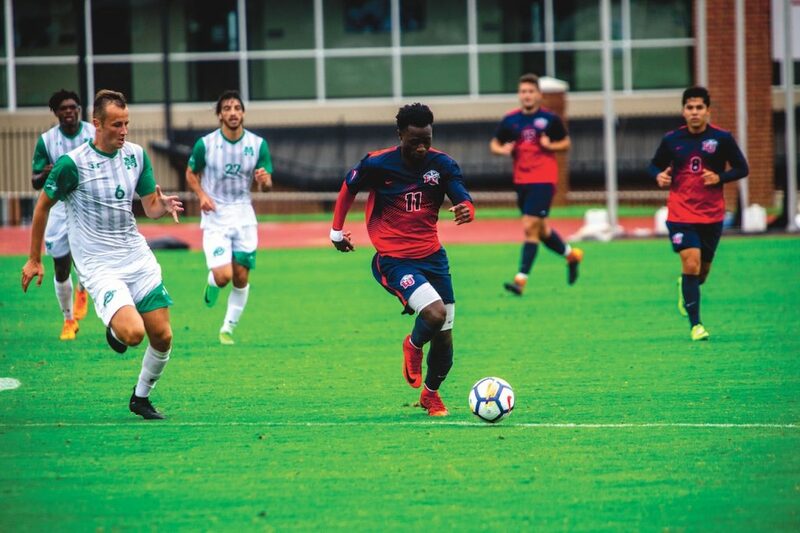 “It was important to us that we start and score first, so when we got the early goal from Shalom, it really put them back on their heels and really allowed us to get on top of the game with our possession, our passing and our movement,” Alder said. This game came as a confidence boost for the Flames after dropping their last game in overtime with a final score of 1-0. “We came from ETSU and the result did not go the way we wanted, and so we needed to bounce back, and I feel like this was a game to see it out and get a result most importantly,” Dutey said. Liberty ended up outshooting Niagara 16-4, something they will hope to take into their next matchup. “We have a 24-hour rule, enjoy the win tonight then tomorrow morning it is back to work,” Alder said.